Spain has the honor to produce really good cheeses, being many of them highly valued all over the world. – Manchego cheese: It could be described as the best known cheese at an international level and is, increasingly, better known and valued as a gourmet product. This delicatessen, included in every high quality cheeses list, is made from Manchega sheep’ raw milk and offers different curing levels, ranging from 30 days to a maximum of 2 years. – Murcia al Vino cheese: This high quality cheese is made with pasteurized goat’s milk from the Murcian-Granada breed, with different degrees of curing, although the most common one is semicured. The rind is bathed in red wine, which gives it its typical color and a very characteristic flavor and aroma. – Afuega’L Pitu: This cheese with a curious name is made with cow’s milk and is presented in 4 different varieties with form of blunt pyramid. Its flavor is intense, with sweet and fresh notes and, sometimes, with spicy touches. Its pulp is semi-soft and its granular texture is more or less accentuated, depending on the variety and the curing degree. , which gives it an intense flavor and aroma. Its semi-hard rind and its creamy paste make of this cheese a unique product. -Mahon: Of course, the most famous cheese of the Balearic Islands could not be missed in this high quality cheeses review. It is made with cow’s milk with a high intensity flavor and co mplex aroma. Taking into account all the aspects mentioned above, if you want to taste high quality cheeses, Spanish ones are the best option, since you can choose among a wide range of them. 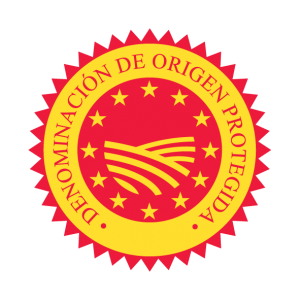 Do not forget that the Designation of Origin guarantees that the cheese you are buying has a constant quality level and its characteristics cannot be found in any other similar cheese which does not have this certification.